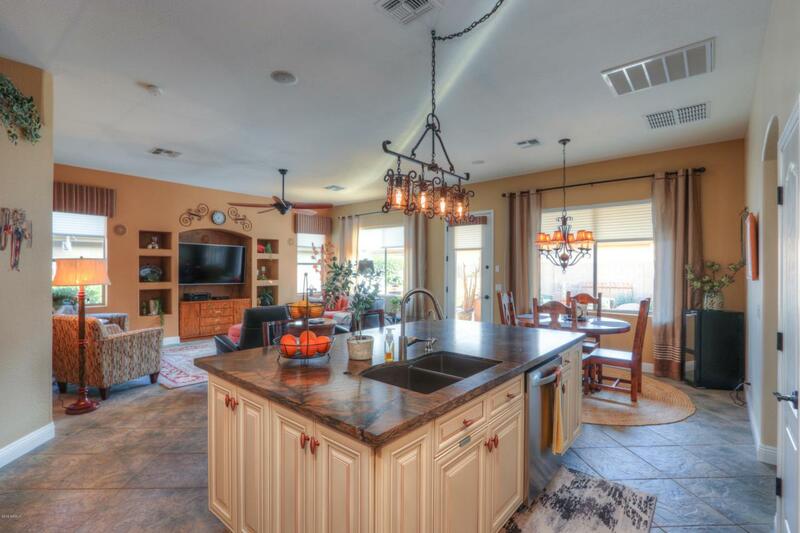 HACIENDA built, gorgeous home with heated pool, in golf course communheity! MUST SEE the virtual tour! This 4br/2ba home is loaded with upgrades. 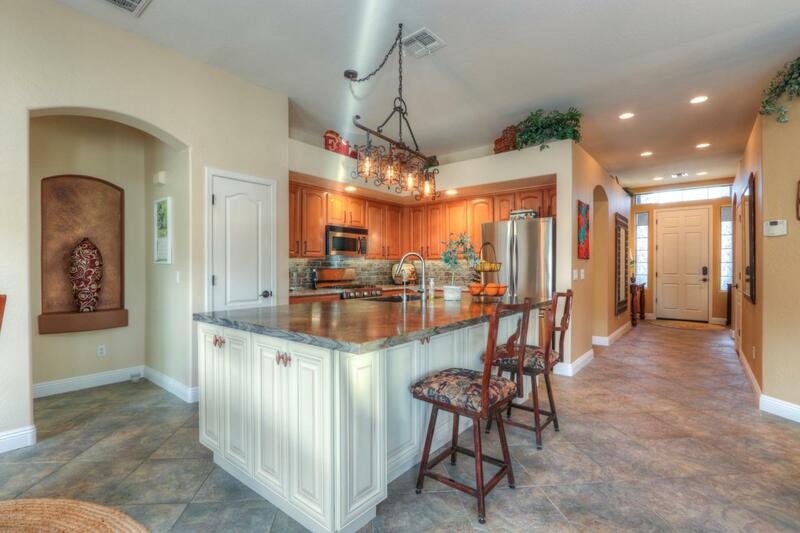 Custom kitchen with island, granite countertops, stainless appliances, with a gas range. Tile in all the right areas. Remodeled bathrooms with natural stone sinks and walk in shower. 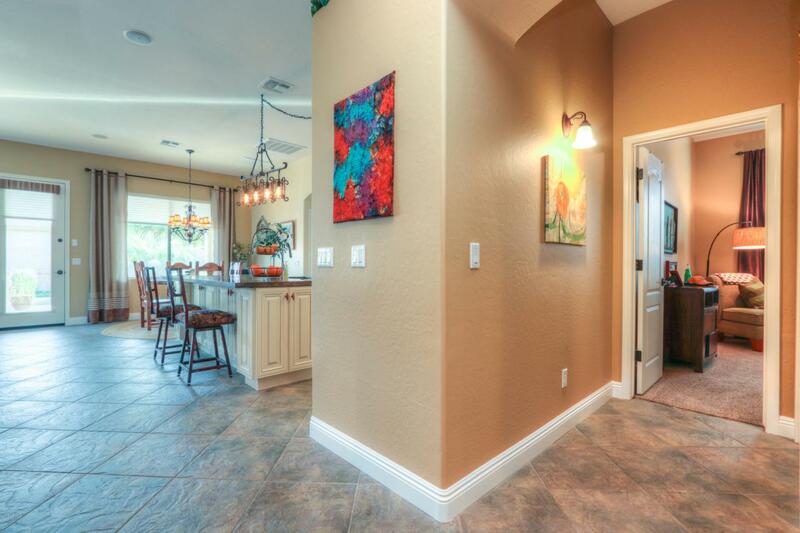 Ten foot ceilings, split floor plan, tall baseboards and stunning fixtures! Awesome backyard landscaping with built in gas BBQ, decorative concrete and pebble tec pool. Epoxy garage floor, built in garage cabinets, and highly efficient solar (must assume). 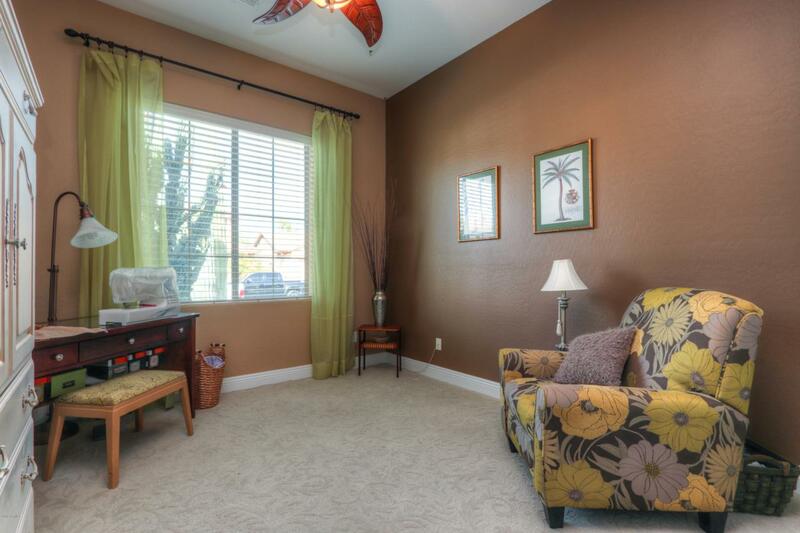 Located on one of the nicest streets in Rancho el Dorado. This home shows like a newly built model home. One of the most beautiful homes on the market Just a short walk to The Duke golf course and restaurant.